We grew up in households where food was important. We grew up in households where the kitchen was the centre of our universes. The main family thoroughfare happened in our kitchens. ‘The Time Machine’ is a new novella about food and grief by award-winning author Nikesh Shukla. It documents Ashok’s attempts to cook food like mum used to make in the wake of her death. If he succeeds, his time machine will have worked and he’ll be transported back to a time when the family home was alive with the sounds of cricket, the smell of food and the presence of his mother. The story is a tender, funny ode to home-cooked Gujarati cooking (‘not tandoori or balti, are you rogan joshing me?’), peppered with family recipes and outdated wisdom from over-bearing aunties. 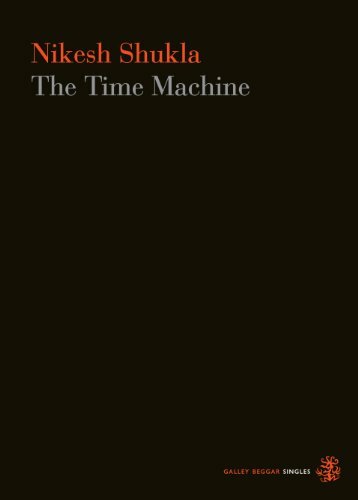 25p from each sale of ‘The Time Machine’ will be donated to Roy Castle Lung Cancer Foundation. The novella deals with the universal themes of food, memory and grief. About losing a parent before you have the chance to learn everything you need to from them. About finding home.